Yep, Chewy.com sent us these beauties to test a few weeks ago and Teton has been L-O-V-I-N-G them. What the heck are these, you ask? 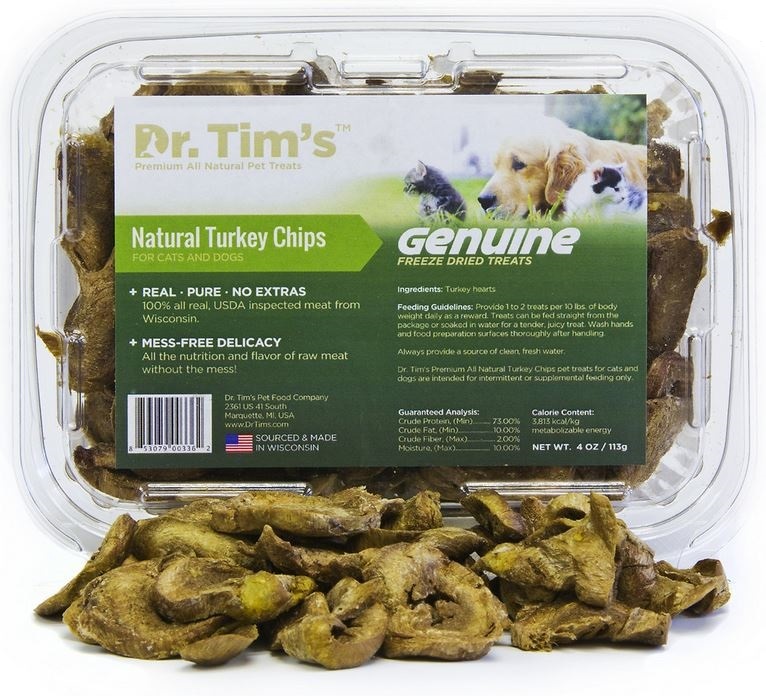 They’re Dr. Tim’s Natural Turkey Chips for dogs and cats. 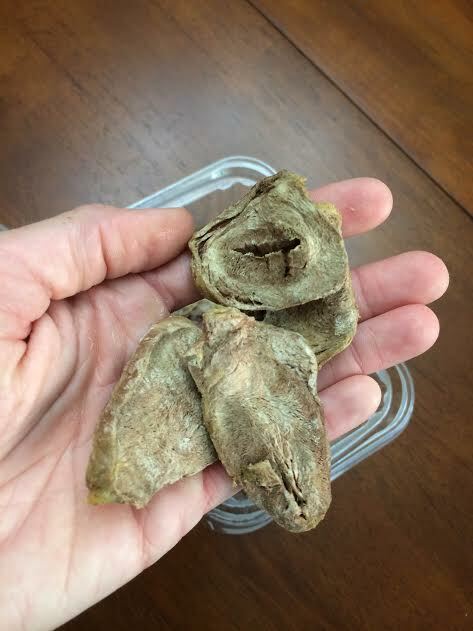 Dr. Tim’s Natural Turkey Chips are comprised of just one ingredient – turkey hearts. 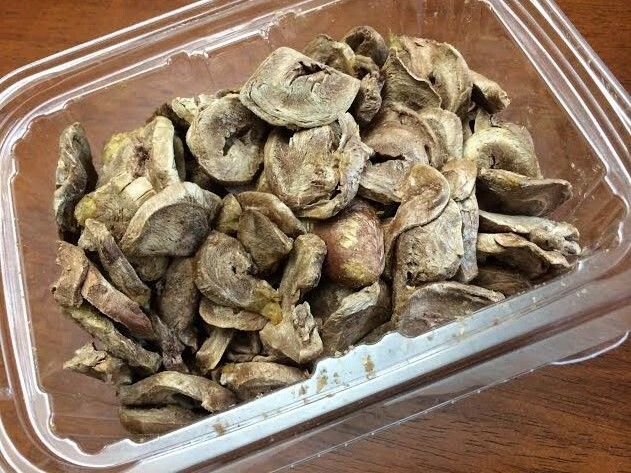 They are the size and shape of dehydrated banana chips (which are also safe for your dog!) but are relatively soft and chewy so they are perfect for young and old dogs alike. Chewy.com carries these treats in a 4-oz container for $14.37. While this may seem a bit steep, I believe that this particular container will last us 2+ months with my feeding Teton about 1 of these chips per day. I had never heard of Dr. Tim’s before Chewy.com sent me these treats for Teton, but they have a nice little assortment of food and treats for dogs and cats. Well, I hate to blog and bounce but I have the day off since it’s Labor Day and I’m out to enjoy the sun! Posted on September 1, 2014 September 1, 2014 by Shannon	This entry was posted in Treat Jar. Bookmark the permalink.